I love dumplings of pretty much any variety but Korean mandu are, well, a little underwhelming. Since we have a few China trips planned this year, I figured Dim Sum could probably wait for our Hong Kong or Taiwan trip and obviously xiao long bao for Shanghai, but I wasn't going to pass up the opportunity to get in some dumpling meals. All in all we had three different dumpling meals ranging from delicious to... disaster. We hit the tail end of the lunchtime rush and didn't have to wait for a table upstairs at Duyichu but the Lonely Planet description of service at Duyichu as "no-frills" is certainly accurate and we did have to wait a while before placing our order. I actually have no idea if there is an English language menu because it seemed like the server in our area really didn't want to deal with us so I used google translate on what seemed to be the shaomai section of the menu (if you're not going to have data while traveling, you're probably just going to go with the tried and true "point and pray" method unless you bring a local). Some of it, of course, translated totally crazy but we were able to figure out what we wanted so when we finally did get a server's attention, we just pointed at the three different things on the menu. 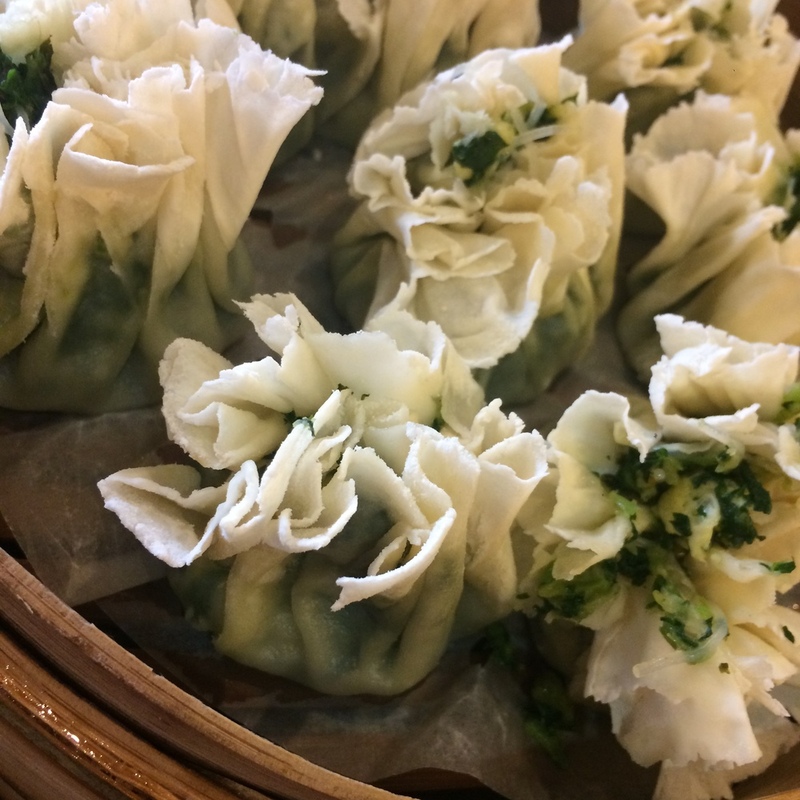 The shaomai (shumai) I've had at most dim sum places in New York and California aren't usually my favorite. First off, I'm not a shrimp eater and you never really know if they're going to be all pork or have a secret shrimp waiting. Second, I don't know, they just often don't have that great a texture and are kind of boring. 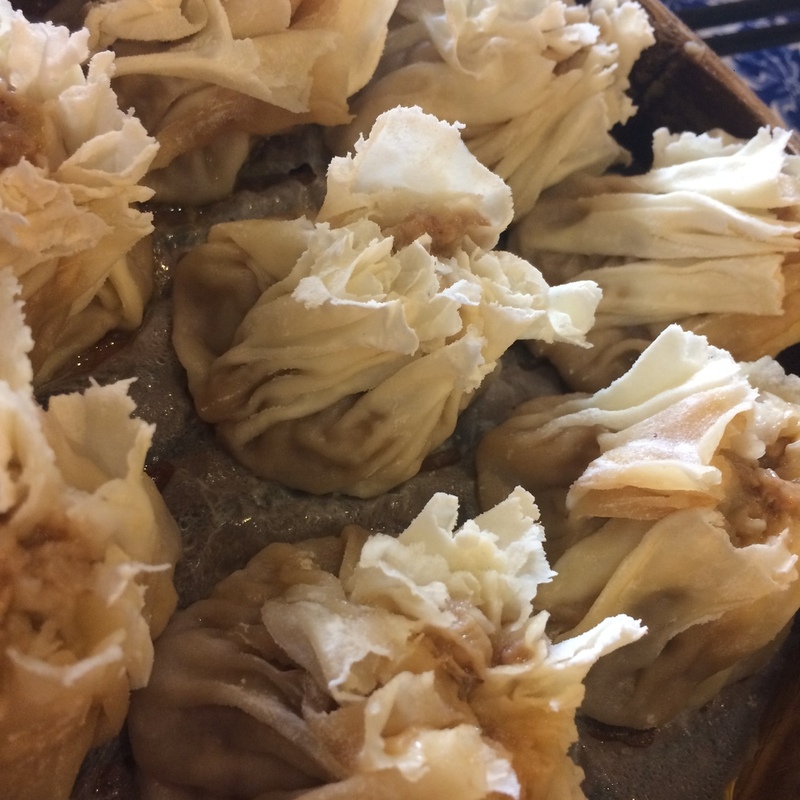 These shaomai were nothing like that. The wrappers were delicate and beautiful and the fillings extremely flavorful. The veggie filling which google translate had definitely partially described as "bird home" turned out to be garlicky greens, egg and tofu. Dan insisted on the classic pork and shrimp combination and was quite happy with it. The plain pork dumpling was the winner in my book, it was a gingery, garlicky filling with a bit of liquid in the bottom. Basically like if shaomai and xia long bao had a delicious, delicious baby. Each order of dumplings was eight pieces, and we didn't quiiite finish them all (I think three got left behind) despite the fact that we started out starving. We spent around $30.00 here, including our bottled water, which seemed totally worth it for the quantity and quality of food. Look, I knew Donghuamen was going to be touristy and I figured it would be a little too expensive but who doesn't want to see other tourists eating scorpions on sticks? It was way too expensive, there wasn't that much variety and the things we had were pretty bad. The dumplings pictured above were some sort of beef coriander filling that was ok but the bun was dry and the bottom was hard and tough from sitting. We also got a bowl of garlicky noodles and told the vendor we didn't want her fried dumplings but she threw them on anyway "to try" but she definitely charged us for them. If we had been less hungry maybe we would've been able to deal with the pushy vendors better but it definitely seemed more irritating than fun. If you want the scorpion on a stick experience with less people yelling at you about their not very good food, I'd recommend Wangfujing Snack Street instead. These crazy long dumplings were our first meal in Beijing. I knew we were going to hit the ground running and conquer The Forbidden City on our first day but also that our morning flight and then drive to our lodgings meant we were going to be starving so I wanted something fast, cheap and filling. These bad boys don't look like much (and were a bit on the greasy side) but they left me satisfied. Zu Lin You She doesn't have any English signage on the outside, but the menu has all eighteen of the meat fillings and eight of the veggie fillings translated! I don't think any of the workers speak English, so we just drew a line with a chopstick from the English translation to the Chinese and the server entered it into her ordering pad. We went with spicy beef and coriander, pork and summer squash, pork, green pepper and coriander and, pork and cabbage. We also were planning on ordering tofu and mustard greens but the server cut us off with a hand gesture that implied we had already ordered more than enough for two people and she wasn't wrong. Dan's favorite turned out to be the spicy beef and coriander he had chosen while mine was the pork, green pepper and coriander. The pork and cabbage was a pretty solid version of a standard gingery, garlic potsticker/fried dumpling filling but the pork and summer squash was a bit on the bland side (I wouldn't order it again). There's chili oil and vinegary soy sauce to mix in your dishes exactly the right size for the dumplings and I recommend slyly watching the other patron's dipping and eating methods since they can be a little hard to handle. This mountain of dumplings cost $6.00. TRUE STORY.